Finally trying out this sleek and classily decorated steak place in town with a brunch of lovely food bloggers. the interior design is chic and modern, where you can notice they have a lot of different shaped lights, and it is surprisingly not a very dim-lighted resto like other typical “high-end” steakhouses. for materials used, there are a lot of metals / steels, very silverish and arty and it brings out the extra glamour yet they did not make the atmosphere too fancy, it is kind of casual actually, it makes you so comfortable that you can just sit there and sinking into the mood to get your appetite ready. We started off with something fresh before we indulgence ourselves with the meats. Wide range of condiments- more mustard please? A weight range of different sauces, 8 fancy choices of mustard & 6 types of gourmet salts were offered when the steaks were served. its fancily displayed with names and it is quite impressive. these allowed us diners to custom our own meats for a little but, let us enjoy the meat in our own creation of aroma and tastes according to our own way of liking. tailored condiments added to the perfectly grilled curated cuts followed by sides that also have a variety of choices; you can always paired them up and make it your most satisfied kinda of dining experience. I tried all of them (yes, all, why not when you can?) and the “chef’s pickled” mustard is my favorite for now. I have never had so much different kinds of mustard at only one dinner, and one kind of meat, for salts I always go for the pink- the Himalayas Pink, also the Black Lava salt with charcoals base interested as well. In general, us foodies love them all, no reasons not to tho. We order some healthier and lighter sides, well, other than Mac & Cheese (a must-try item! ), Green asparagus & brown sugar, Chili-dusted sweet potato fries and last but not the least the grilled portobello mushrooms with mint and lemon zest. 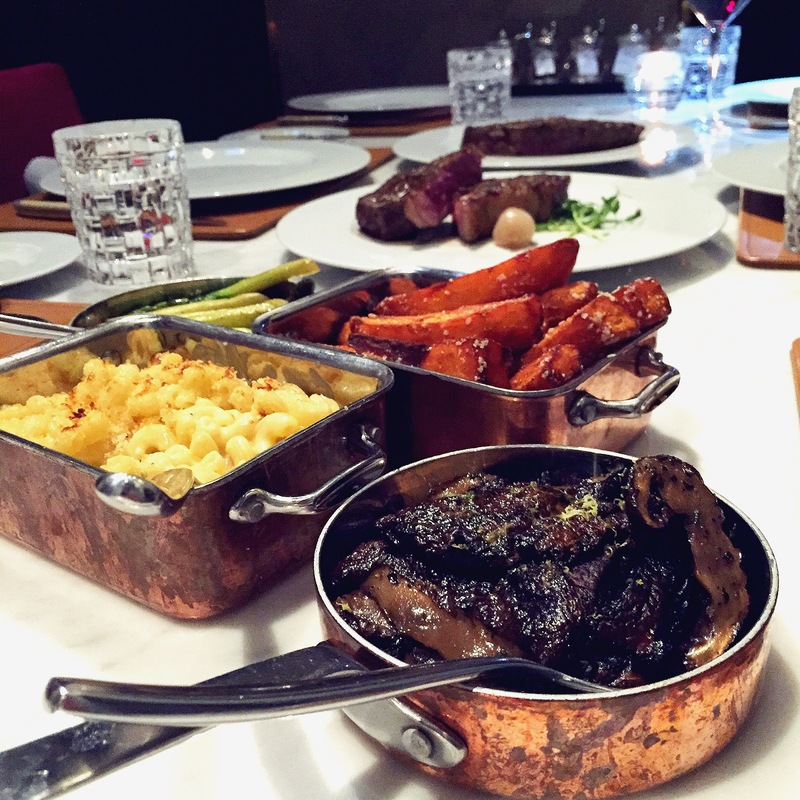 I’m quite impressed that lighter dishes appeared on the menu and I’m very glad to have some greens, as I love veggies and there is nothing too stuffy or creamy on the menu, it also lead the diners’ tastebuds back to the main focus – the steaks. nothing too heavy besides the cuts. According to the #chef David Laris, having a satisfied steakhouse dinner can sleep an angel sleep at night you know what? he is right. 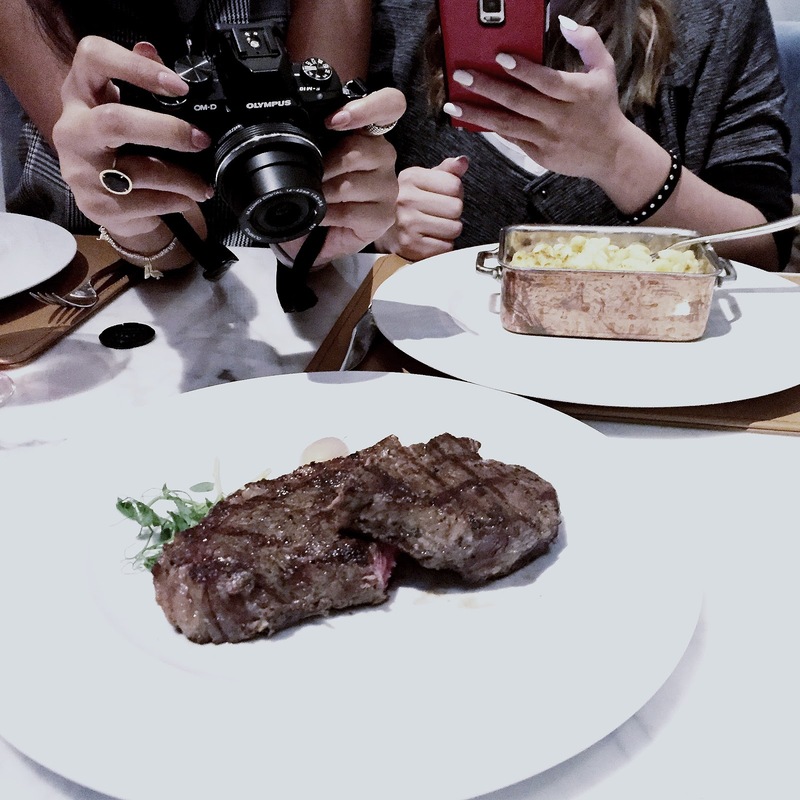 Posted in Eateries, Food and tagged feasting, foodies, foodies gigs, Hong Kong eats, PorterhousebyLaris. Bookmark the permalink.